To take advantage of the largest selection of used Honda for sale in Montreal, come meet us today at Spinelli Honda! Located between downtown and Vaudreuil, our dealership offers you various models for all needs and all budgets. Why pay more for a new vehicle when, at Spinelli Honda, you can select one of our used Honda near Laval for a fraction of the price? Come see us! We are located in Lachine and easily accessible from Île Perrot! Are you looking for a reliable sedan with a sportive look? Select one of our used Civic. Fancy a sedan of larger size or, on the contrary, a subcompact car? Then choose one of our pre-owned Accord or one of our used Fit. Do you need a versatile and spacious vehicle? Take your pick from our used Pilot, or our pre-owned CR-V or HR-V. Families will also find what they need among our used Honda for sale in Montreal, since we offer numerous used Odyssey minivans at the best prices in the area! Our inventory of used Honda vehicles near Laval is primarily composed of returns from our clients, so you can be sure to get a vehicle in excellent condition that was also regularly serviced by our qualified technicians! And among our used cars, you will also find a large selection of Honda Certified vehicles; these consist of only the cream of the crop of used vehicles and are offered for a lot less money than a new vehicle! These models offer a host of advantages such as a 7 year/160,000 km manufacturer’s warranty at no additional charge on used Civic and Fit, highly advantageous financing rates and even a 7 day/1,500 km exchange privilege, to name a few. On location, also take a look at our Honda liquidation models, to save even more on your purchase! 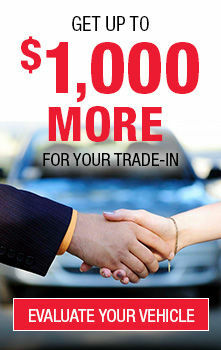 Furthermore, find out more about our current Honda promotions as well as our various financing products. Come see us today at Spinelli Honda and make your choice from our used Honda for sale in Montreal! We are located in Lachine, near Vaudreuil and Île Perrot.